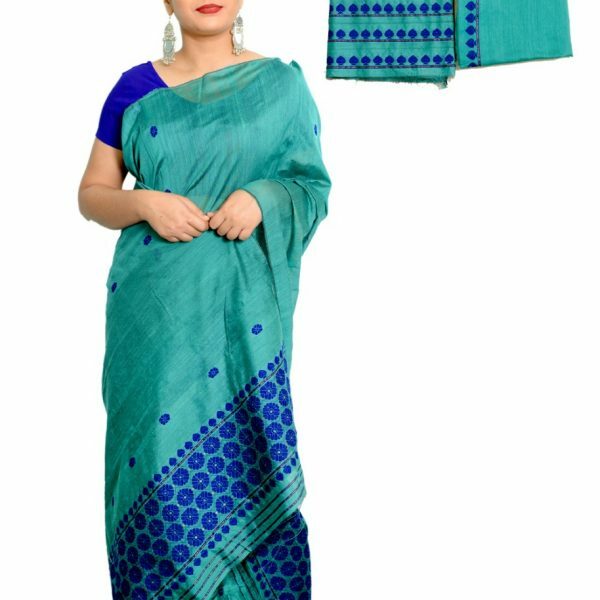 Designer gives a very beautiful looks on Mekhela Sador having Padmini Material. Orange Colour floral design work with Green leafs gives a vibrant look on the Black colour. Blouse piece is available on Black colour with side border. Model wearing this mekhela Sador is looking very gorgeous. Comfortable to wear this type of mekhela Sador in all seasons. Matching ornaments will take a different look with this set. 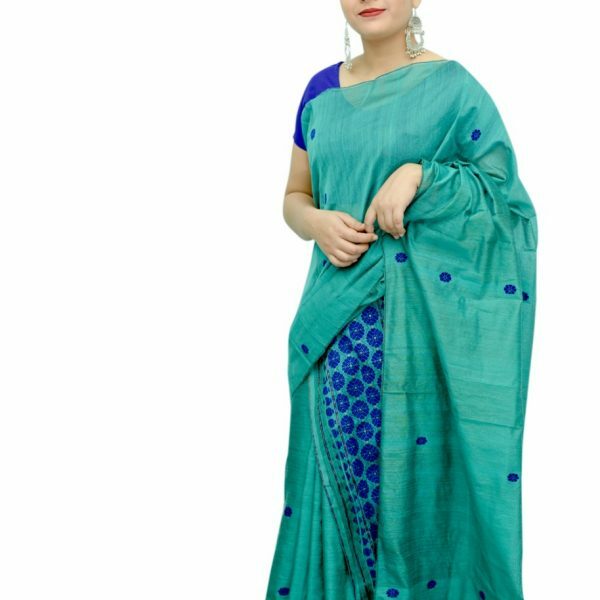 One can confidently attend a party bg draping this mekhela sador set.Specially for young ladies and girls this type of mekhela Sador is in fashion now. Material Care: Washable.Both machine and hand wash.